P.Money and his Gratitude to Hip Hop! 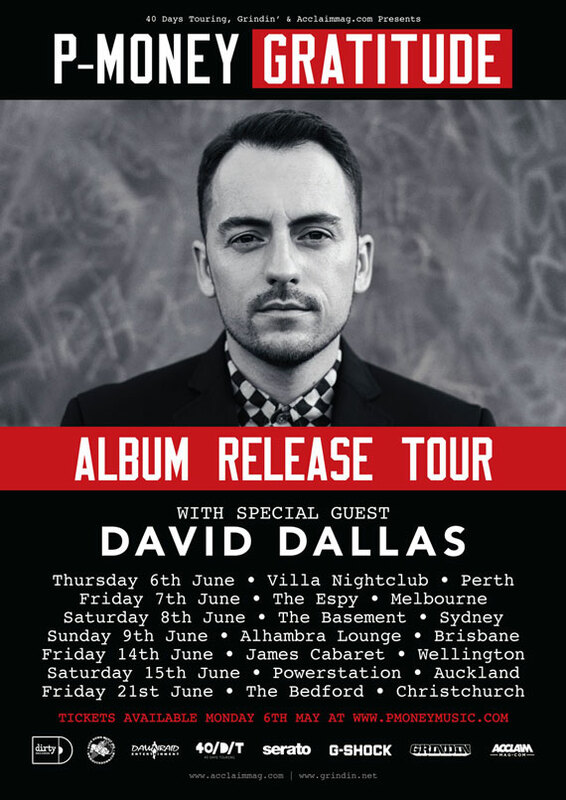 He has single-handidly put his native New Zealand on the global Hip Hop map, bringing his award-winning producing and song-writing skill to the world stage, gaining recognition as one of the industry’s most sought after hit makers! Talking of course about Peter Wadams, aka P. Money, the DJ/ Producer / Song-writing triple threat representing the “Land of the Long White Cloud”. P.Money is synonymous for bringing an edge to the sound of New Zealand’s Hip Hop community and is responsible for showcasing the countries burgeoning talent pool, unearthing rare gems in award winning rapper Scribe, powerhouse songstress Aarahdna and creating masterpiece collaborations for the cream of Hip Hop’s crop. From M.O.P to Talib Kweli, Savage to Havoc of Prodigy, the list continues to grow in forces as P.Money becomes a force to be reckoned with in the Hip Hop music world! 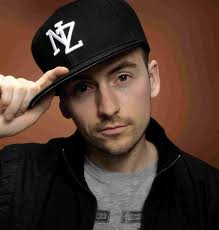 With 5 studio albums under his belt, a slew of No.1 hits including the infamous NZ club anthem “Not Many” feat Scribe, “Keep On Calling “feat Akon and killer hit “Everything” feat Vince Harder, Money not only kicked in the door and waved the 4’4 on the international hip hop scene but continues to change the game with a sound that is fast becoming a staple in the ever evolving urban genre. As the founder of independent record label Dirty Records, now in its 12th year of production, the label has gone on to birth and create the signature sound that has grown from its native Papakura community and spanned its talent across the pond to the bright lights and big city of Hip Hop’s mecca – New York. P now calls The Emerald City home and has immersed himself in all that the city provides for lovers of real Hip Hop. One listen to his latest album and you can hear the city seeping its history, power and respect through every track. Having recently partnered with Duck Down Records, Money’s 6th studio album ‘Gratitude’ takes it up a notch, bringing together an organic hip hop sound that resonates the honesty, passion, rawness and beauty that reflects the sound of New York interpreted through Money. If its debut single “Celebration Flow” feat Aaradhna and Talib Kweli is anything to go by, ‘Gratitude’ is sure to become a hip hop classic before too long. Whatever the secret to P.Money’s success is, it is certainly laced with an abundance of good fortune and positivity as whatever he touches turns platinum. Perhaps it lies within his humble and sans ego demeanour, could t be his militant work ethic and rigid discipline at being the best in his field, or could it simply lie in the fact that Peter Wadams, aka P.Money is a man blessed with a talent for creating what he loves? He is a man who gives his all to a community and genre he respects and a music form he honours. It all comes down to his attitude of gratitude and what we could all learn by mastering the grateful art of giving thanks! 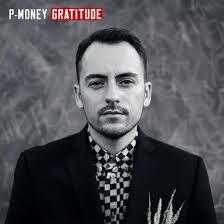 Congratulations on the release of your new album Gratitude Pete – how do you feel about the finished product? I feel good. I’m happy with the sound of the album, all the guest features did amazing work and early reactions from fans are very positive. So I’m happy. It’s been a minute since we last spoke (I think some 7 years between interviews) – I have watched you grow in leaps and bounds, becoming the world-class Hip Hop producer you are. How would you best describe your journey to date and what keeps you motivated? Wow, 7 years! A journey is the right word. Music is my life and career. It’s what I’ve dedicated myself too for so long I don’t really know anything else. Nowadays I just remember to enjoy each moment and enjoy the work. I stay motivated by simply booking the next project and maintaining momentum. Variety is good too. I work in different genres and with different types of artists to keep myself inspired. Pete, how has Hip Hop as a movement and music genre changed for you since you first got in the game? What would you say is the public’s greatest misconception about Hip Hop culture? One thing about Hip-Hop is that the sound is constantly evolving and each new wave of artists and producers bring with them a new sound and vibe. That’s what is great about it. Different generations of fans will gravitate towards the sounds of their era, I do that too, but I enjoy hearing fresh ideas. I don’t know about misconceptions. It’s too much effort to try and monitor the ‘public’s perception’ of anything. I don’t care to control or influence how other people think. I just do me. 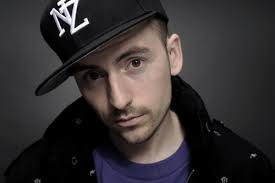 Representing New Zealand , you have gone on to call New York your home for a few years working with some of the industries illest artists like MOP & Talib Kweli to name a few. Returning back home to NZ in recent years, you continue to unearth some of the countries most talented artists and performers. Are there any NZ Hip Hop stars on the come up that you could share with us to watch out for? There is a pretty big wave of new talent coming through. It remains to be seen who will breakthrough and have real careers. Some artists to check for are @Peace, The Doqument, Louie Knuxx, Spycc and INF, Jay Knight, Raiza Biza. As a producer Pete, you have to be able to create the right sound for the right artist, giving them that edge to take it to the next level. In all of your years as a pioneering beat maker have you ever had those moments where you thought you could be doing something else with your life? If you weren’t P. Money – hip hop hit maker what do you think you would be? I am the man who I want to be. I believe you create who you are through your thoughts, habits and actions. If I wanted to be doing anything other than this, trust me I would be doing it! Your album is aptly titled Gratitude – what are you grateful for Pete and what do you hope this album’s message conveys to the public? I am grateful to be living the life I lead. Grateful to be in New York, releasing music, working with amazing and talented artists, I am grateful for the team of people who help me to pursue this career; my people at Duck Down Music and Frequency Media Group back in NZ. I’m grateful to have an audience for my music and fans who enjoy and support my work. There is a lot to be grateful for! What does Hip Hop mean to you and why? Hip-Hop has been the medium for me to develop and express my talents. It has inspired me, entertained me, informed me and, at its best, offered me insight and perspective. Hip-Hop means a lot to me and it also means many things to many people. I’m glad I grew up in the Hip-Hop generation. If you could take 4 albums with you into the afterlife, which ones would they be and why? Only 4?!? I’m gonna say J Dilla – Donuts, Public Enemy – It Takes A Nation of Millions To Hold Us Back, Stevie Wonder Anthology and I’m gonna cheat and say the Ultimate Breaks & Beats collection, so I can still chop up some beats when I’m outta here. At this stage in the game where you have garnered the respect and following to be somebody’s inspiration, who is Money’s inspiration? Kanye West is inspiring. Legends like Quincy Jones and Dr. Dre are inspiring. Young producers like Hudson Mohawke are also very inspiring. More music, more shows. More positivity! ← Kicking Back on the Soul Lounge with DJ Dannyboi! one of the best in its field. Great blog! The clearness on your publish is simply excellent and i can think you are a professional on this subject. keep updated with drawing close post. Thank you one million and please keep up the gratifying work. Thank you so much for your reading, support and kind words. Hello everyone, it’s my first go to see at this website, and post is genuinely fruitful in favor of me, keep up posting these types of posts.